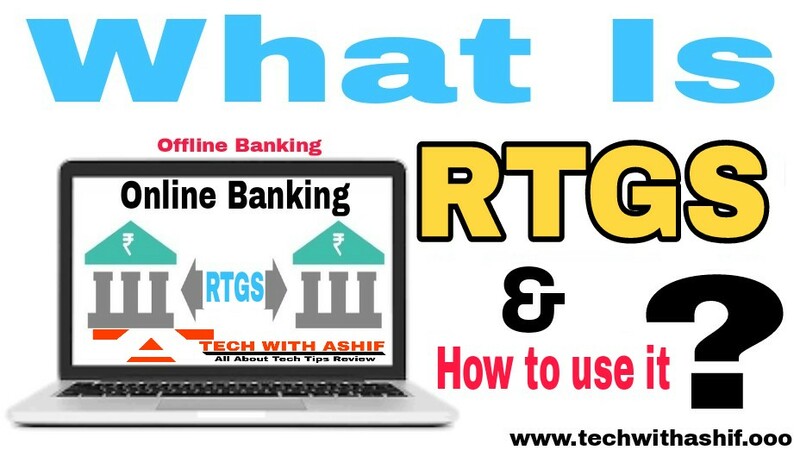 Career & Business What is RTGS and How to use it? There are several options for transferring money from one bank to another bank account. These are the most popular RTGS, NEFT and IMPS. In this Article we will talk about the fastest money transfer service RTGS. RTGS is used only to transfer large amounts from one account to another. Using RTGS You Go to Bank Or sitting in your home through online banking. The full name of RTGS is Real Time Gross Settlement. RTGS is the fastest way to transfer money. Where you take time to send and receive money from NEFT. Money is accessed in your account within 30 minutes through RTGS. RTGS is used to send large amounts i.e. over 2 lakh rupees. If the money does not reach the other's account, then all the money is sent back to your account. The benefit of the RTGS service can be raised by any person whose account is in the bank. Only you have to fill up the RTGS fund transfer form in bank. In order to send money from RTGS, we should know the beneficiary's bank account number, bank branch, IFSC code, as well as a check on which to manually sign. The timing of RTGS takes place from 9 a.m. to 4:30 p.m. on the working day of the bank. It works only till 12 o'clock on Saturdays. There is no settlement on the bank holiday and public holidays. There is a nominal fee for sending money from RTGS, which you can find in your bank. The Bank also collects its Charges for the service of RTGS. This charge seems only to the sender. The person who receives the money does not have to pay any charges. Every person who has an account in the bank can take advantage of this facility. Transfer of money through RTGS happens in real time. It is commonly used to transfer large amounts. This method is very fast and safe. The minimum amount to be transferred through it is 2 lakhs. Hopefully you will like the information related to RTGS and you will know what is RTGS and how to use it. You must give your suggestion in the comment box.